Kundalini Reiki Boosters. Over 2000 Advanced Energy Workshops for Physical and Spiritual Evolution. 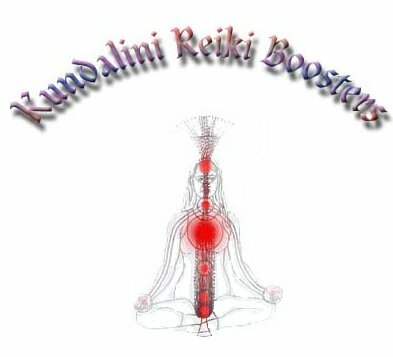 WHAT ARE KUNDALINI REIKI BOOSTERS? Kundalini Boosters are means of strengthening and further opening of your Kundalini Channel. WHY TAKE KUNDALINI REIKI BOOSTERS? One of the reasons to take these Boosters is to further strengthen your SUSHUMNA with Kundalini Reiki 1-9. A stronger Channel means an easier flow of energy and a properly opened Sushumna. The Kundalini Reiki Boosters will widen the hand chakras to allow Kundalini Reiki to flow through you more powerfully. The wider the Hand Chakras are opened, the greater the Flow of Energy occurring through those openings. The Boosters also strengthens the hand chakras so the flow of energy stays open and the flow is not reduced. HOW MANY BOOSTERS DO I NEED TO TAKE? These Kundalini Reiki Booster Attunements will increase your energy flow by 100%. At the end of KRB-1-9, you can stop or continue but you will be able to pass the 3 attunements to others. There has to be a integrating period (usually a day or 2) between Kundalini Reiki Booster levels. ALTERNATIVE: Kundalini Reiki Boosters Advanced Version is available which is a prerequiste for Golden Shakti. You will receive the Kundalini Reiki Boosters regular version Master Manual via Email, All Attunements and a emailed certificate. Plus full email support is given before, during and after all my Workshops.